Thrilling new historical fiction starring a scoundrel with a heart of gold and set in the darkest debtors' prison in Georgian London, where people fall dead as quickly as they fall in love and no one is as they seem. It's 1727. Tom Hawkins is damned if he's going to follow in his father's footsteps and become a country parson. Not for him a quiet life of prayer and propriety. His preference is for wine, women, and cards. But there's a sense of honor there too, and Tom won't pull family strings to get himself out of debt - not even when faced with the appalling horrors of London's notorious debtors' prison: The Marshalsea Gaol. 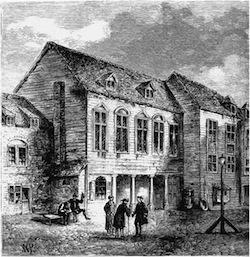 Within moments of his arrival in the Marshalsea, Hawkins learns there's a murderer on the loose, a ghost is haunting the gaol, and that he'll have to scrounge up the money to pay for his food, bed, and drink. He's quick to accept an offer of free room and board from the mysterious Samuel Fleet - only to find out just hours later that it was Fleet's last roommate who turned up dead. Tom's choice is clear: get to the truth of the murder - or be the next to die. A cunning debut historical mystery by Antonia Hodgson, editor in chief of Little, Brown, UK. Thoroughly researched, this mystery is set in London's Marshalsea debtor's prison in 1727. Populating her fast-paced narrative with real-life characters, Hodgson weaves a vivid tale which intrigues both as a solid historical mystery as well as a lucid portrait of a little known aspect of early Eighteenth century London society… A winner! I read, I learned, I thought about this book for many days after I finished reading it. (Reviewed by BookBrowse First Impression Reviewers). As promised in the historical note that opens Hodgson's satisfyingly twisty debut thriller, readers will encounter an eye-opening look at Georgian London's debtors' prisons and some authentically colorful swearing within its pages. History and mystery fans will both enjoy the roller-coaster twists and turns of this atmospheric historical thriller. 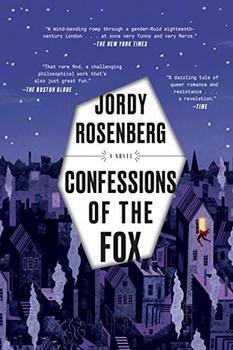 Hodgson's plotting is clever, perhaps even overly intricate, and the local color hair-raising. Starred Review. Hodgson, the editor-in-chief of Little, Brown U.K., conjures up scenes of Dickensian squalor and marries them to a crackerjack plot, in her impressive first novel, set in 1727. Historical fiction just doesn't get any better than this. A riveting, fast-paced story…Magnificent! A wonderfully convincing picture of the seamier side of 18th-century life. The narrative whips along. Antonia Hodgson has a real feel for how people thought and spoke at the time - and, God knows, that's a rare talent. Excellent who-done-it with an honorable character to boot! Historical fiction set in the streets and debtors' prison in 1720's London. Fascinating material, well defined characters and a page turner. Highly recommend for fans of period pieces and mysteries. A fragment of a wall is all that is left of Marshalsea Prison. But Charles Dickens has made sure that its memory lives on. His father was imprisoned in Marshalsea Prison in 1824. He owed forty pounds to a local baker (about 3000 pounds today). Charles scurried around the city trying to collect money on his father's behalf but it was insufficient and his father was arrested. Dickens was only twelve years old at the time. While the rest of his family moved into the prison with his father, he took up lodging nearby, worked full time and used the money to support them and his lodging. The whole experience left a huge, terrible impression on him; one that he never quite shook off. It showed up in his work often. A love story set in the eighteenth-century London of notorious thieves and queer subcultures, this genre-bending debut tells a profound story of gender, desire, and liberation. Winner of the 2017 Costa First Novel Award. 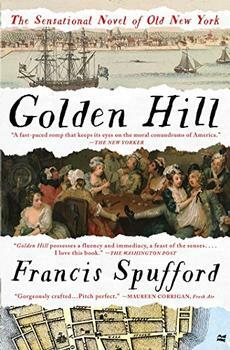 The spectacular first novel from acclaimed nonfiction author Francis Spufford follows the adventures of a mysterious young man in mid-eighteenth century Manhattan, thirty years before the American Revolution, in "a first-class period entertainment" (The Guardian).